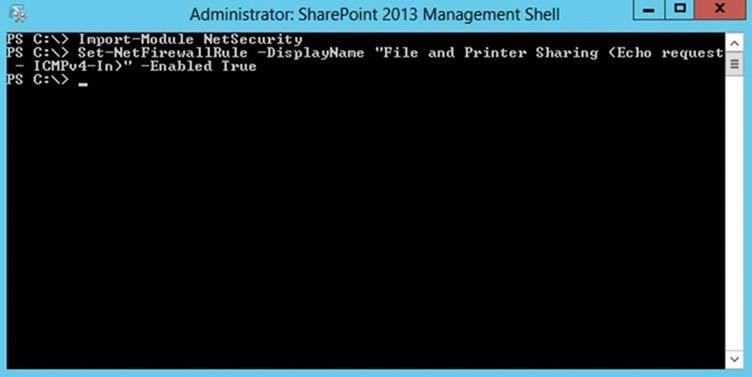 Now SharePoint 2013 is similar to 2010 but they are very different. Although this topology is quite rare, I had to re-create it for my app development, architecture and POC creation, and I’m going to take you through the steps of creating it from scratch. I’m going to assume this is your first SharePoint installation, so all the gurus out there, be patient! It could be a long post so I might put some links to the same information I used for reference to help me complete some of my tasks. There’s a lot of info out there on installing SharePoint 2013 (SP2013 from here on in) so by all means, have a gander and design your own custom installation solution using different aspects of others as I have done. First off please read and understand the hardware and software requirements for SP2013, they are very important, the nature of the beast is that SharePoint is getting more splendid and all these beautiful features require more and more memory. I created all of this on a machine with 16GB RAM, my OS was Server 2008 r2 with Hyper V role installed. All servers are on 64 bit processors. To install the OS once I had created my hyper V machine was to attach the installation media, i.e. point Hyper V to where your Windows Server 2008 r2 installation media is on your guest OS. Don’t forget to install DHCP, WINS and Enterprise Certificate Services. *Note Before I installed the AD role on the server I update the machine with the latest service packs and updates as the Domain controller is not really meant to have any internet access for security reasons. SQL Server – Windows Server 2012 and SQL Server 2012 standard (No longer enterprise version of Windows now, only Standard and DataCenter). The process of installing SQL is quite laborious so I will help you through that one in the next blog post. Don’t forget to install updates after you have installed all your required software. SharePoint Server – Windows Server 2012, SharePoint Server 2013, Visual Studio 2013, Office 2013, SharePoint Designer 2013, and any other Dev tools you usually use. I included ULS viewer and CSK Dev Visual Studio tools from Codeplex, SP2013 Client Component Tools SDK (http://www.microsoft.com/en-gb/download/details.aspx?id=35585), and whatever else you might use for your development machine. Pour a much needed Long island Ice tea and assume the recovery position! Lol that’s optional!